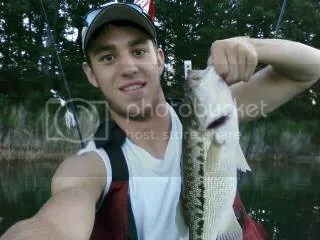 Caught a personal best spotted bass Friday while pre-fishing for the Lanier Tournament. 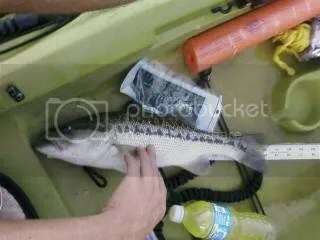 The spot measured in at 16.5″ but if you take a close look you’ll notice I started measuring about an inch down the fish so for my own personal use I’m calling it 17″ hahaha. 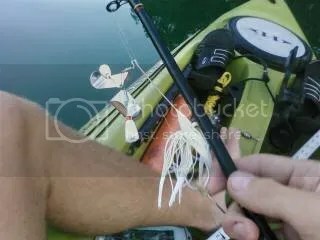 Check out how it ANNIHILATED my buzzbait and actually broke the welds that held the blades in place. As for the Tournament… the buzzbait bite Monday and Friday was gone and once I figured that out around 9 am all my bait was dead and wasn’t able to bring any fish to the boat. You win some you lose some, still a great time for a great cause, and I ended up winning a raffle for an Extrasport Sturgeon Angler PFD so not a total loss on the day!